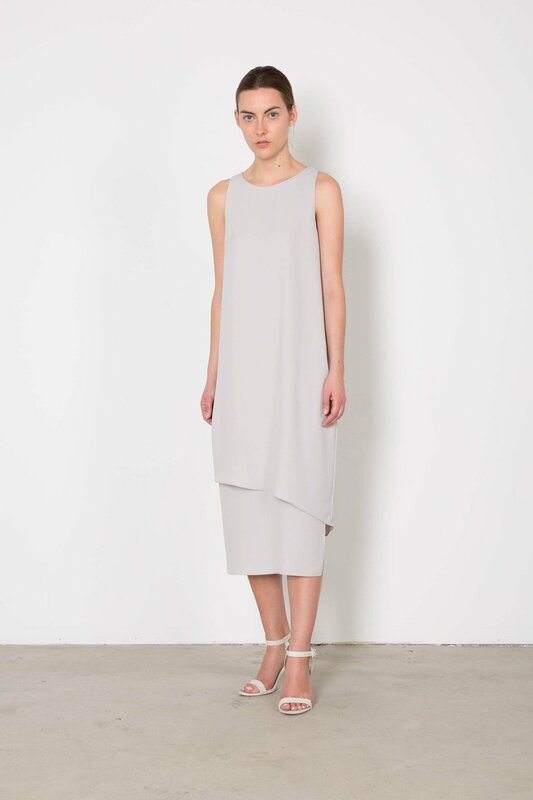 With a minimal and sophisticated design, this dress features a wrapped layer in the front to add a beautiful feminine drape and has a unique asymmetrical hemline. 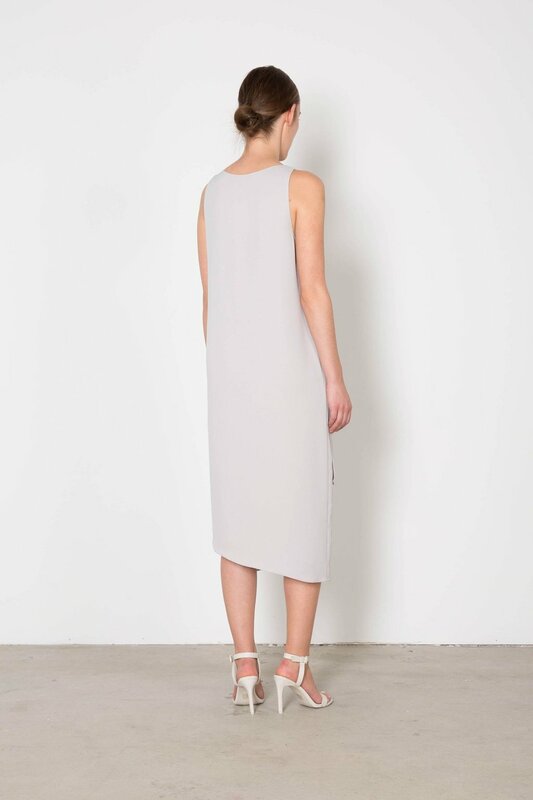 This dress includes a side seam zipper up the left side for easy wear and can be worn with slides or heels for whatever look you're in the mood for. Fabric Content: 100% Polyester Care Instructions: Machine wash cold, tumble dry low, or lay flat to dry. Cool iron. Fit: Relaxed Approximate Measurements: XS: 34" bust x 45.5" longest length S: 36" bust x 46.25" longest length M: 38" bust x 47" longest length L: 40" bust x 47.75" length Model's height is 5'9". Model wears a size small.